So said Harry Potter author J.K. Rowling today as she delivered a moving commencement speech at Harvard University today, focusing on failure and the power of imagination. You can read the entire text of the speech via this link, with an audio version of the speech onine as well. Update: We now have the video of the entire speech here in our galleries. “However, the fact that you are graduating from Harvard suggests that you are not very well-acquainted with failure. You might be driven by a fear of failure quite as much as a desire for success. Indeed, your conception of failure might not be too far from the average person’s idea of success, so high have you already flown academically. You might never fail on the scale I did, but some failure in life is inevitable. It is impossible to live without failing at something, unless you live so cautiously that you might as well not have lived at all – in which case, you fail by default. Failure gave me an inner security that I had never attained by passing examinations. Failure taught me things about myself that I could have learned no other way. I discovered that I had a strong will, and more discipline than I had suspected; I also found out that I had friends whose value was truly above rubies. Jo continued on to note that post-graduation, working for Amnesty International was “one of the greatest formative experiences of my life” and “it informed much of what I subsequently wrote in those books. ” She recalled one powerful incident as she reflected saying “I shall never forget the African torture victim, a young man no older than I was at the time, who had become mentally ill after all he had endured in his homeland. He trembled uncontrollably as he spoke into a video camera about the brutality inflicted upon him. He was a foot taller than I was, and seemed as fragile as a child. I was given the job of escorting him to the Underground Station afterwards, and this man whose life had been shattered by cruelty took my hand with exquisite courtesy, and wished me future happiness. 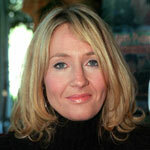 J.K. Rowling then went on to emphasize how important imagination is in overcoming failures horrors like the story she recalled and how it can impact the graduates she was addressing. Unlike any other creature on this planet, humans can learn and understand, without having experienced. They can think themselves into other people’s minds, imagine themselves into other people’s places. I think the willfully unimaginative see more monsters. They are often more afraid. What is more, those who choose not to empathise may enable real monsters. For without ever committing an act of outright evil ourselves, we collude with it, through our own apathy. One of the many things I learned at the end of that Classics corridor down which I ventured at the age of 18, in search of something I could not then define, was this, written by the Greek author Plutarch: What we achieve inwardly will change outer reality.